What About Paris? : Saint John of Patmos: Craziest Man in the New Testament. Saint John of Patmos: Craziest Man in the New Testament. Looking into the Void. 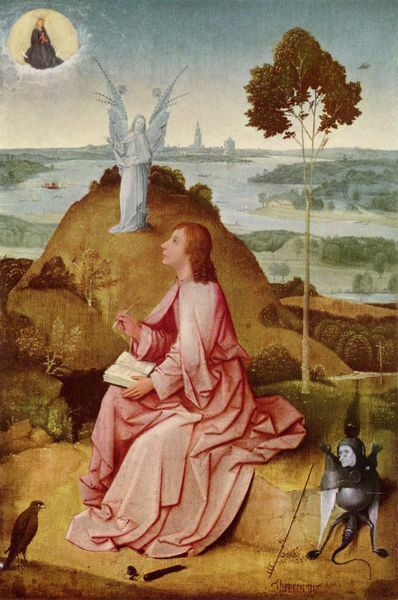 Saint John of Patmos writes the Book of Revelation in this Hieronymus Bosch painting (1505). Whoever wrote Revelation--no one really knows--was out-there. One King-Hell Flake. But he could write and tell stories. Make no mistake.